word of the year. Margin. White Space. my brain for the past month. that slow-food entered into my life. about remembering the cost to bring that food to our tables. Slow living is much the same. life instead of letting it pass us by. constant information to be dealt with. But my word is margin this year. my mom, or to have an impromptu movie night with friends. want to do anything else, because I have been so overwhelmed. Because I know that there is another something that needs to be done soon. I know that I need to re-prioritize. go straight through to the middle of May and then be done for a bit. those themes the way I did back when I only had one little one in the house. Evaluating our schedule, what we desire for in our days, the most important items; those will be the first steps. What is essential? What do I want to say Yes to? What am I saying Yes to begrudgingly? Living slow is not something that happens easily. It is something that you have to fight for, and make adjustments frequently. It is too easy to get caught up in the current of life, and you forget to slow down, to enjoy life. desire in your own life? Oh I love this. It's like you wrote out everything I've been thinking for the past 6 months! Thanks for sharing! I'm glad that you liked it! It has been heavy on my heart lately as well. Thanks for visiting! Slowing down is definitely needed once in a while. Not only is it good for the soul but also for those around you who want to see you happy 🙂 and not pressured. I always say that I need to slow down more, but I never do. Thank you for the reminder. Now I am really looking forward to our beach vacation. I love your word of the year, great choice! I enjoyed reading this post because I love this slow living. I won't move to the east coast because of it. My family out there doesn't even know how to slow down. I love where I live so i can truly appreciate life. And this reminds me an awful lot like mindfulness, taking it all in…enjoying every moment. Great post! I've always desired quite time. Though I will say I need to get better at turning off the screens during that time. It's good to just be, whether in a quiet room or outdoors. Living does seem to go by so fast now. I really need to try and slow down life a bit too. Having a quiet time of the day is so important. More often than not, my quiet time happens after everyone else has gone to bed! 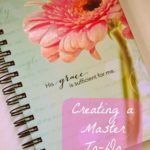 As a military wife who could barely handle her busy schedule I am truly glad I came across your post. I totally agree that we really need to slow down a bit and enjoy life. In this fast paced generation, it is kinda challenging though but we always have to remind ourselves to stop and take it easy. Slow living sounds … hard-to-achieve in this day and age. Possible, yes, but it would take a lot of commitment, I think. I would like to slow down, but then I worry about how I'd take care of my family. I love this. It's such a good reminder. I've been thinking about this a lot lately. My kids are getting older and I don't want to miss anything. My life is defined not in slow drive. Especially in my house. Someone is always in and out. This year we are trying to practice spending more time together. My life is definitely in overdrive. I could stand to slow it down both with my cooking and daily habits! So here in New Jersey life is VERY fast paced. It is awful. I hate it! I try my best to keep my own life slow but it doesn't really work without giving me anxiety! I need to read these! I love your word of the year. We cut out most of our kids after school activities over this past year just so we weren't constantly on the go. We are now finding a way to slowly work back in the stuff that counts and keep out the stuff that doesn't. 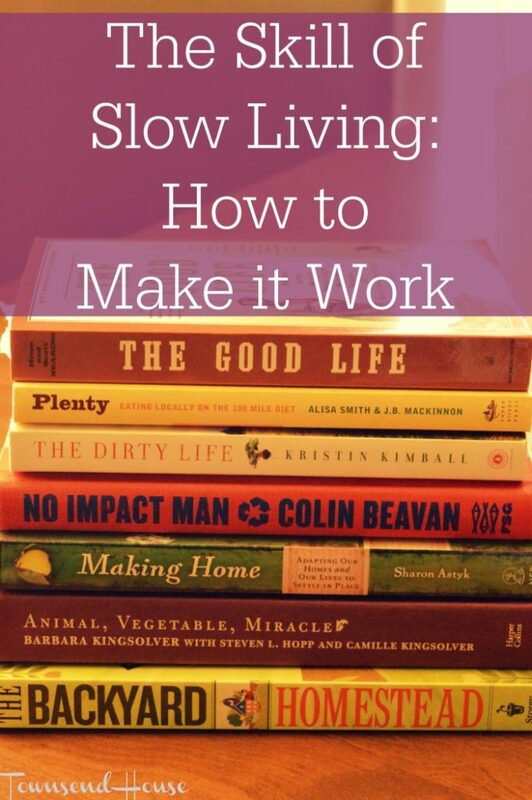 Slow living is absolutely something that we focus on in our home. We live in Atlanta and it's easy to get caught up in the go-go-go of urban life but in our family we focus on slow, relaxed, methodical almost. It's a great way to live once you get adjusted to it. I definitely need to focus more on slow living, I haven't heard of the term before but I am all for making the most of life and it's great for making memories! I agree about that things are so different now. It is still really important to slow down. Everyone, especially in America, could use a little slow down. We are so hurried to get from this moment ot the next, from here to there, that we miss SO much! I think I would have to defer to my husband for a more relative comment on this. I am always go,go,go and busy,busy,busy. He always takes things in stride and relaxes more than I can. I think he would agree with your statements here. It is so easy to get caught up in the hustle and bustle! 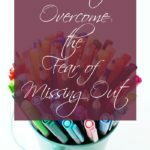 I always have to remind myself to slow down and not overwhelm myself with everything that needs to be done! What a great post… its so hard to stop and enjoy whatever it is you are doing…. The world is so rush rush… I miss the day of just sitting and doing nothing! Thanks for sharing! My life is seriously out of control at times. Taking a breather and slowing down is important! Slowing down would be great! I totally need to make time where there is nothing going on. I agree it is so easy to get caught up in the hustle and bustle of life and the older I get the more I am realizing I want things to slow down. I need to try that out. Slow living. It's something I struggle with, my mind, my body, everything is always going way too fast. So much so that I get so tired. Thanks for sharing. Savor the moment, I'm all about that! I am always so fast-paced sometimes, I need to remember this. Slowing down was something I wanted last year. And it ended up not happening as I had my busiest work year. Definitely trying again this year though! I definitely could afford to slow down a bit! Sometimes life goes by so fast because I am so busy and I feel like I don't remember anything! What a great post! I am all about slowing down, savoring the moment. Life is faster than the speed of light lately. We all need to take a moment to take in what all is happening around us. I am all for slowing down and it's funny because I realize this whenever I go on a vacation. When I am not in my usual environment it helps to slow things down. I pretty much live the slow life myself. So many friends are go go go all the time they miss the special moments and always seem so stressed out. 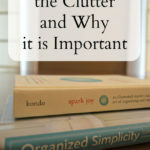 I love the simple things in life, so I naturally love and value the importance of slow living. It makes life more enjoyable that way! It's so hard to slow down in our fast-paced lives where kids are supposed to be in so many classes and activities. We try to have a "jammie day" at home once a week just to slow down and spend time together just enjoying life. Since having my kids I have definitely learned the value of slowing down and being present not just there. It really does change your perspective on everything. The idea of slowing down has always been so foreign to me. I am so used to busy but recently we have been trying to slow down more. 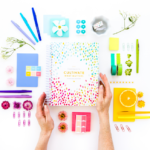 I think you can definitely get into a pattern of busyness – and that isn't a bad thing! As long as it is your choice and you are able to hold on to what is important during that time. I need margin in my life too, in order to as you put it slow down and really appreciate what life can bring me. I will use this as my motto from now on! Although cliche, I know that as I have gotten older (and especially since having children) time has started to go into warp speed. I notice in my busy seasons I blink and they are done, and I don't like that feeling. I am trying to savor life more. I like the idea of slowing down. For me, that might mean letting go of some other things and prioritize what really grounds me and makes me happy. Oh I love that "prioritize what really grounds me…" That is definitely something to keep in mind, and a different way of thinking of things. I love it!